Indiano Pelletteria is an Indian luxury fashion brand mainly for high quality leather goods. It is first ever brand to bring together Italian style/values together with Indian traditional craftsmanship in order to deliver exquisitely crafted luxury goods with a thoroughly modern sensibility. The company’s famous motto, “creating Identity” expresses a philosophy of individuality, uniqueness and exclusiveness achieved by combining innovative designs inspired by different facet of lifestyle, contemporary functionality, outstanding craftsmanship, and the highest quality materials. 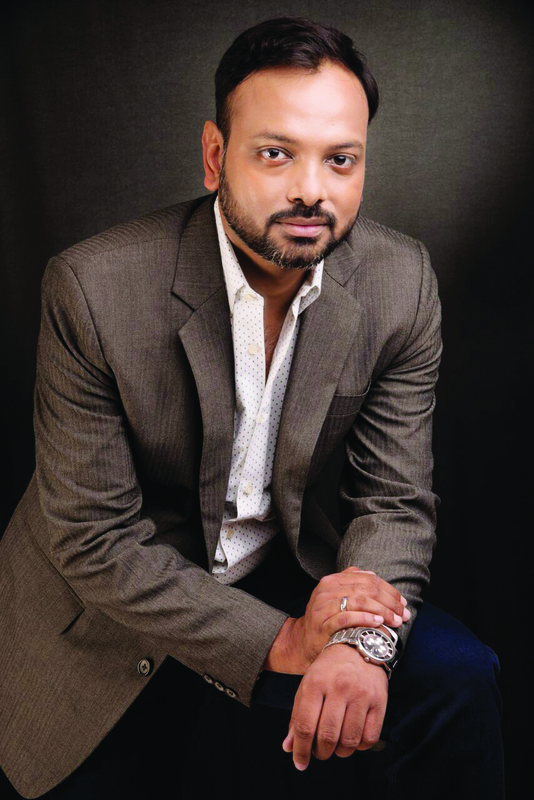 The man behind the show – Abhishek Kumar Verma, a dynamic multi-lingual fashion and luxury industry professional with in an international environment (India, Milan, London, Paris, Madrid) has had a challenging work experience & an educational background from world’s premier fashion colleges (Bachelors from NIFT-India and Masters from SDA Bocconi-Italy). Verma, formulated the business model for the company in order to develop an effective brand strategy in order to deliver an innovative value preposition to the market. He relentlessly worked towards building up the Indian luxury fashion brand mainly for high quality leather goods, which include Footwear and handbag. He has been managing the entire operations for the brand, which includes Research & Development, Design forecast, Product Development, Production Overview, Supply Chain, Retail (online/offline), Distribution, and Pricing Strategy. Quality, passion for details and rigorous handmade workmanship are the core elements of distinction for us. Tradition and innovation are the parallel pillars Indiano Pelletteria has built its success on, thanks to the perfect combination of traditional production techniques (Italian Know how), the ability of making entirely made-to-measure shoes, and the evolution in research and design (Inspired by Indian art and craft). Basically, a Modern attitude married to ancient know-how. The brand has addressed the issue of occasion of use and hence is offering a variety of shoes where each and every product is designed for specific occasions keeping the highest quality parameters intact. For instance fashion conference at office, Candle light dinner, graduation ceremony, Ball room party, wedding, reception ceremony, Interview, holiday at resort, Cocktail, shopping at high street etc. Indiano Pelletteria target market is both domestic as well as global. It is for those people who are looking for innovative designs without compromising on quality. As per company’s tagline “creating Identity” it ensures that there is something for everyone. Quality, passion for details and rigorous handmade workmanship are the core elements of distinction for us. What’s your set up like? Indiano Pelletteria has its factories in Italy where all the research and development along with production takes place. It has a strong innovative design team that comprises designers from Milan, Rome, Paris, London, New York and India. These designers constantly work on innovation in order to deliver an exquisite range for the customers. Company’s head office is located in Noida sector 63, where the management makes all the strategic decisions. Sourcing, marketing and merchandising, costing, quality control, forecast, warehousing, Retail and other teams are located in the Noida HO. The brand has its their first Physical store at Gardens Galleria Mall Noida along with another Retail studio at the corporate head office (A-189 Sector 63 Noida). We are also retailing in Chandigarh from the store named Curations in Welcome hotel Bella Vista Panchkula. IP also has an ecommerce website by the name of www.indianopelletteria.com. How do you see your brand being positioned today in the Indian market? Share with us the efforts you have employed so far. Indiano Pelletteria is positioned in the luxury segment and is the only brand offering customization of footwear to its clients with unparalleled quality parameters. In order to maintain the quality standards, the brand has collaborated with multiple partners starting with Swarovski for the crystals used for bridal collection, world’s biggest tanneries in situated in Italy (Florence, Bologna, Firenze, Pisa etc) who are also supplying leathers to big luxury brands, trims and accessories suppliers from Italy and France. We have tie-ups with Vogue India for promotions, PR agencies, social media bloggers etc. We are involved in lots of event in NCR like The luxury Expo at Porsche center – Gurgaon, The Pavilion at DLF Emporio, Wedding Asia at The Ashok Delhi, Wedding Asia at Hyatt Chandigarh, Runway Bridal by Ramola Bachchan at The Ashok Delhi. We have also been actively involved in lots of sponsorships with Amity International, The Great Indian Fashion week by Prasad Bidapa, Pearl Fashion Academy – Luxury management programme. Indiano Pelletteria has its factories in Italy where all the research and development along with production takes place. It has a strong innovative design team that comprises designers from Milan, Rome, Paris, London, New York and India. Kindly tell us the product lines you have in your disposal. Also discuss with us the new ones you will be launching in the near future. Semi formal menswear range: This range mainly comprises leather sneakers; lug soles (chunky- thick soles) leather shoes, Moccasin and loafers. Designers have focused on the minute details in this collection. Very light weight shoes. Classic vintage menswear range: This is a classic range focusing majorly on the construction i.e. Goodyear welted shoes. This is the construction with superior lateral stability, which is important in helping the joints of the ankles and knees to remain in proper alignment. The strength of a welt construction is also superior in maintaining the proper balancing and support of the foot. Styles here are oxford dress shoe, derby, double monk, lace up, loafers etc. Classic women swear range: This is a classic range for woman focusing onto the shapes, colors and vintage leather finishes. Styles here are Pumps, Stilettos, Kittens, Ballerina, moccasin, platform, and oxford lace up. These styles are for customers who have a strong sense of self and the fashion looks that they put together speaks of this. Bridal range: This range has Swarovski encrusted footwear meant for different functions in wedding like Mehendi, Cocktail, wedding, reception and other exclusive events. We have platform, sandals, block heels, and lace styles, T-strap along with Swarovski detailing. These styles are the perfect choice for every bride to be on her BIG DAY. Apart from above lines, the brand is planning to start their handbags, clutches line soon. What strategies have you adopted to expand your presence in the country? Physical stores: Luxury is all about experience and in order to offer such experiential shopping company is planning to have physical stores. Currently, IP has 3 physical stores – Gardens galleria mall Noida, A-189 sector 63 Noida, Welcome Hotel Bella Vista Panckula. Furthermore, in order to expand quickly without compromising on the indulgent feel of the total experience, we are also under discussion with many multi-designer fashion houses across India like Ogaan, Kayra, Kimaya, Ensemble, evoluzione and others. It is essential to us that there is no dilution of the store experience because of hasty licensing partnerships all in the name of expansion. Online Stores: In today’s tech Savvy environment we cannot neglect the online presence. Therefore, the brand has already launched their e-commerce platform www.indianopelletteria.com. We have also collaborated with Elitify.com and are under discussion with luxurystation.com, perniapopshop.com and others. Considering that India is still a price-sensitive market, what challenges does the brand face while designing as well as launching new products? Indeed India is a price-sensitive market and as we invest a lot on innovation and designs along with very high quality materials so our cost is relatively higher. In order to deliver exquisite range of let say 20 styles we do the sampling of approx 50-60 styles out of which we drop approx 30-40 styles and offer the best 20 styles to the market. However the kind of products which we offer to the clients are made with international standards and hence the value proposition is still significantly higher vs. many brands even in the entry price point OR luxury segments (in layman terms the value-for-money is still very solid when you purchase from Indiano). We have kept the margins consciously low on our maiden collection and, therefore, the customer has a huge advantage of getting a wonderfully crafted product at almost the cost of manufacturing. Let me explain with an example. Let’s take an instance of a pair of Goodyear welted shoes from Gucci or Ferragamo starts from Inr 50K and goes up to Inr 80K or even more which we are offering between Inr 28k to 35K. Similarly for Women’s footwear Jimmy Choo, Fendi and other players are priced at around Inr 40K for basics and Inr 90k and upwards for occasion wear whereas our prices are starting from Inr 19K to 28K. So we are competitive in terms of prices along with designs as the range which we offer is huge (57 variations for men and 48 variations for women) as compared to our competitors who offer 10-12 styles per Season. Right away, we see big potential for growth in the NCR region which constitutes 50% of the luxury footwear market of India as there is no luxury destination for shopping in near by cities like Chandigarh, Jaipur, Lucknow…. Online retailers, with deep pockets, have been selling products at highly discounted prices, and this has made a lot of brands quite uneasy. What¹s your view on their move? I think IP is in a different segment altogether. There is demand for both the markets as there are customers (fashion followers) who are looking for heavy discounts on the product but here the product is left over stock from past collections. Furthermore these discounted collections do not have many options to select from nor is there availability if sizes. However there are other customers (trend setters) as well who don’t look for discounts as they are looking for updated collections and variety of styles to select from. They drive the fashion in the market. Also, I do believe that this discount culture that has come up is not very healthy. It is not sustainable in the long run and the customer bears the end price either in purchasing cheap quality product (poor value proposition- you pay less for something that is worth much much lesser) or by losing choice over a period of time as the big retailer swallows all the up and coming smaller retailers and then begins to dictate market trends and prices once the competition is out of the way. In both situations, the customer loses and the sooner we wake up to that fact, the better it is for us. How do you strategize your digital initiatives to gain brand visibility? As spoken previously we have our own E-commerce platform by the name www.indianopelletteria.com. Along with the website we also have our Facebook page – “Indiano Pelletteria”, Instagram page –“ Indiano Pelletteria” and twitter handle – Luxuryfootwear2. We maintain a constant feed about the collection, events and offers. We are also collaborated with many social media bloggers who keep on posting about the brand and the products. Along with these we have also collaborated with online luxury e-commerce players like elitify.com, Luxurystation.com and we are in discussion with perniapopshop.com and others in order to increase our brand visibility. Luxury is all about experience and in order to offer such experiential shopping company is planning to have physical stores. 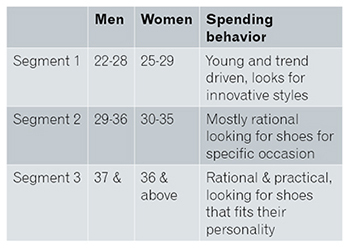 Space scarcity and high rental have been the main hurdles in setting up retail stores. How big an issue is this for you? I totally agree with the issue of space scarcity and high rentals in setting up retail stores. First of all we have very few places where we can have stores with a kind of brand positioning we have. It is an ongoing struggle and for now the answer for us has been key collaborations with like-minded retailers where we can share the burden of rentals and place out product alongside theirs. In what regions of the country would you be targeting your brand? I think the tier 1 cities would be a key focus for now although we do believe and the tastes of the people from tier 2 and 3 cities is increasingly refined of late. For the next few Seasons, we are looking at expanding our presence in Delhi/Noida/Gurgaon, Chandigarh, Mumbai, and Bangalore & Hyderabad. In what regions of the country do you see more growth? And what¹s your growth projection? Right away, we see big potential for growth in the NCR region, which constitutes 50% of the luxury footwear market of India as there is no luxury destination for shopping in near by cities like Chandigarh, Jaipur, Lucknow and others so people travel down to NCR for their shopping. 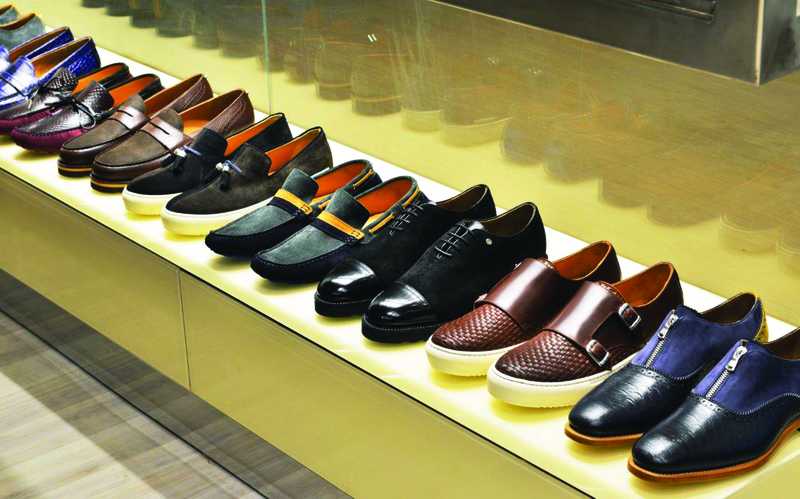 Mumbai is the next region, which constitutes 30% of the luxury footwear market. We foresee a growth of 15-20% in our total sales turnover per annum for the coming year.